Hey, little explorer! 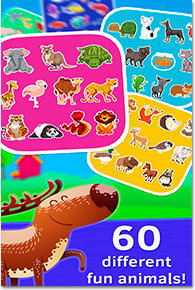 Welcome to the baby animal puzzles full of various animals! Let’s study the fascinating wildlife in a fun and educational way! Wow! So many animals! Zoo puzzles. Take an imaginary safari journey to the Zoo and meet its inhabitants: an elephant, a lion, a giraffe, tiger, a flamingo and more. Forest inhabitants. 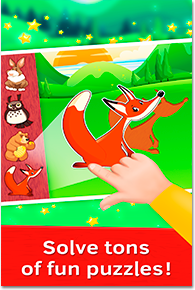 Discover various animals living in a forest: a fox, birds, an owl, a bunny, a bear, a dear and lots of others. Farm animals. Let’s go to a farm where a piggy, a cow, horses, a lamb, ducks live! Pets. How many pets do you know? Find kittens, puppies, fish, a hamster, parrots and turtles. Sea inhabitants. 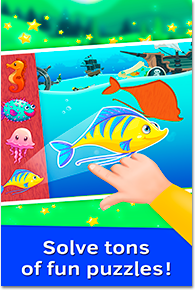 This theme will appreciate little ones who are crazy about the sea. Explore the mysterious underwater world! You’ll learn various fish, a shark, an octopus, a sea horse, and a whale. 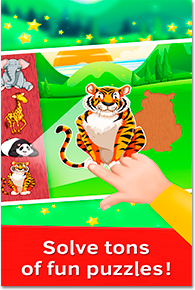 How to play animal puzzles for kids: touch the screen and drag the animal pic to the correct place matching the image and its shape. 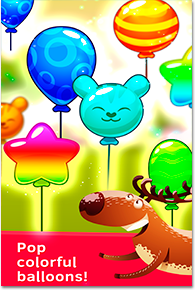 When a puzzle is completed enjoy the happy cheering and then tap the arrow to assemble the next one. Download educational baby games for one year old and forget about boredom!